No post in Lost Cowboy history has garnered more attention than the one I did about the art print “It’s All Mine Now” – which was a limited edition work offered through the fine folks at home furnishings retailer CB2. 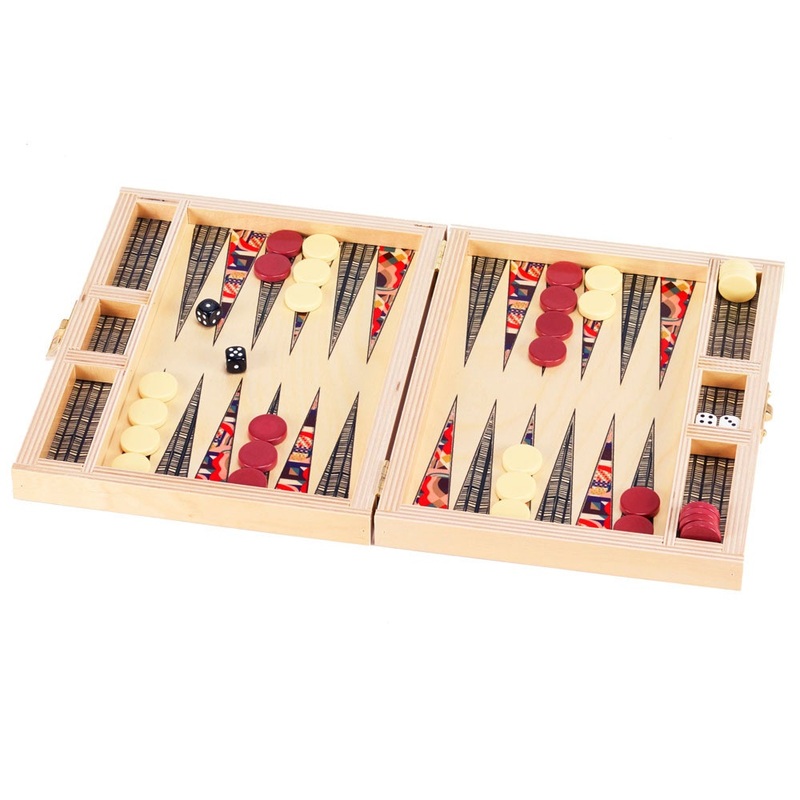 I was a huge fan of that particular piece, but I am also a fan of CB2 in general and their ongoing commitment to offering affordable works of art. So this is my semi-annual tribute to CB2 and their limited edition art collection featuring great works, like the Urban Biker print by artist Deanna Fainelli. Learn more about artist Deanna Fainelli here. 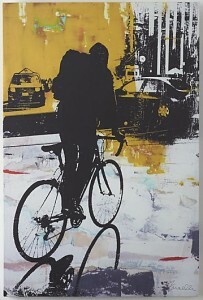 See all the art currently available from CB2 here. I am big Martin Short fan. I think he is one of the most talented and funny artists of his generation – and that is really saying something. I was very excited when I heard Mr. Short had written a memoir, I Must Say: My Life as a Humble Comedy Legend, and I couldn’t wait to read it. I had an interesting experience with this book. I went back and forth between the printed text and the audio book – which features Mr. Short reading his own words. I find the best audio books are those read by the author and more specifically if the author is reading his/her own story and Mr. Short is nothing short (pun not intended) of brilliant in his reading of his own words. I found the book to be an above average contemporary memoir (not hard to do as most show business memoirs and autobiographies are truly bad) and the companion audio version just pure pleasure. First and foremost, Mr. Short has provided a well-crafted story of his life on and off the screen. Mr. Short’s persona is of a larger than life and over the top performer. However, in his memoir we see the real person behind the performer and you appreciate his talent even more. In I Must Say, Mr. Short does not provide much insight into the creative process, something I like in books written by performers. Instead we are treated to the story of a man so talented that everything he says and does is the creative process. 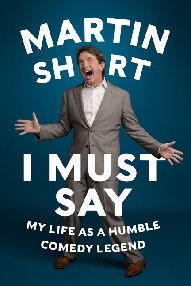 I Must Say: My Life as a Humble Comedy Legend by Martin Short is available from Amazon and other fine booksellers everywhere. 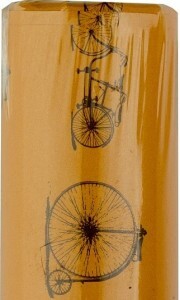 I love the fine folks at Bookbinders.com – the retail site of Michael Roger, Inc., makers of fine paper products. 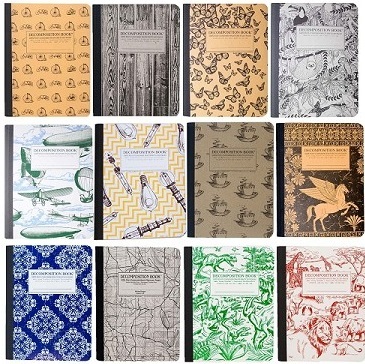 Among the great things Bookbinders offers is a line of “Decomposition Books” – their signature version of the old school composition notebooks made from 100% recycled paper and featuring great cover graphics. 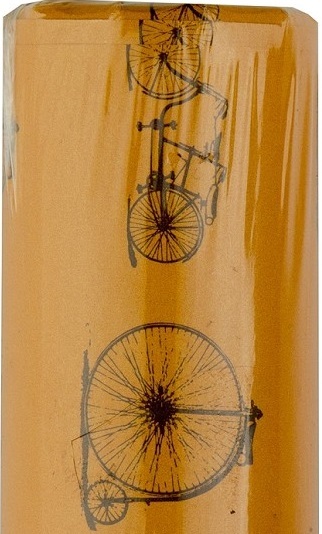 Bookbinders also offers a line of “Decomposition Wrap Rolls” – recycled paper with some great prints – I like the Decomposition Wrap Roll featuring vintage bicycles. 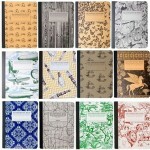 See all the great products offered by Bookbinders.com. See more about Michael Roger, Inc. here. Seriously, what is it with the birds lately? They seem to be targeting me and that does not make me feel comfortable – cue Tippi Hedren in the phone booth. So today at the office, a pair of mourning doves came to my window ledge – the same place where those turkey vultures landed recently. 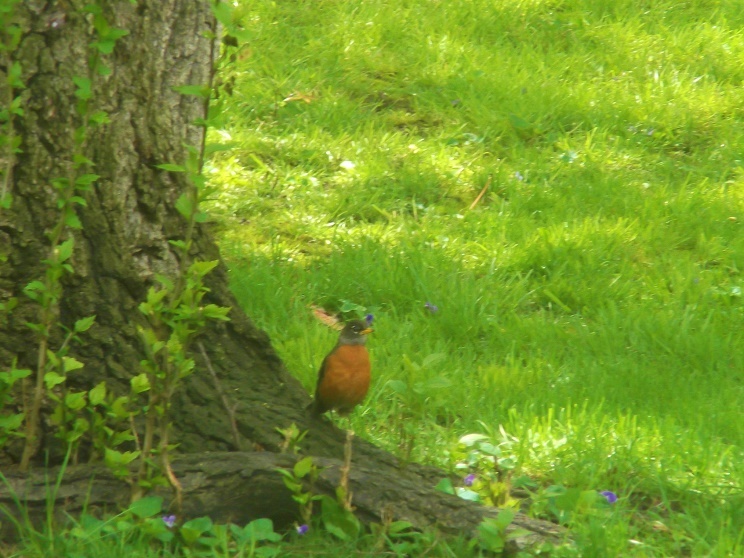 The two birds seemed very chummy, perhaps where the term “lovey dovey” comes from. One of the pair then jumped to the narrow sill of my window and spent a few minutes just looking in at me – which I thought was pretty cool. Learn more about mourning doves here. During the first few heady days of Lost Cowboy back in 2009, I documented my search for the “Lost Gaucho” to complement my lost cowboy figure on my first trip to Argentina. Now, more than five years and two additional trips to Buenos Aires later, I am sharing the story about a couple of other lost cowboys I found while haunting the antique galleries of the city’s San Telmo District. On my last trip to Argentina in January 2014, I was not really in the market for any major acquisitions to my collections. I had just decided to relocate to Kansas City and was not quite sure as to what was going to happen to the New Hampshire homestead and all my stuff. However, I definitely wanted to find a little something to take home as a keepsake from the trip. I inevitably purchased a few small pieces of art from vendors at the great San Telmo street fair – an every Sunday tradition and a must-do on any trip to Buenos Aires. 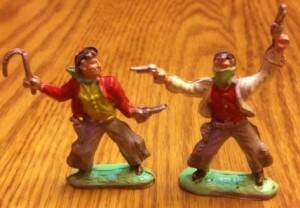 I also stumbled across these small cowboy figures that just spoke to me. 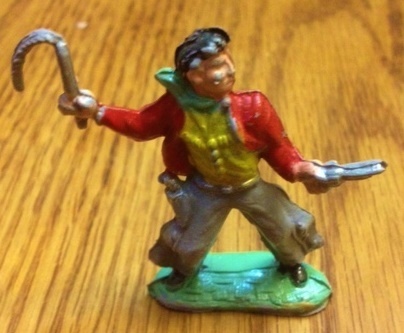 Of course this type of toy is a dime-a-dozen and I have many of them. However, there was something about the poses and paint job on these little guys that spoke to me and I knew I just had to rescue them. OK, this is not as compelling a story as I may have led you to believe when I started recounting it. 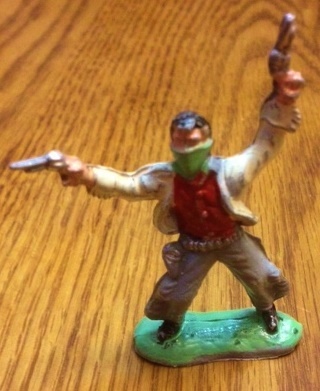 But these cowboys (or this cowboy and a bandit) have been with me ever since that trip. Because I moved out to Kansas City within days of my return from Argentina, they were really the first nonessential thing I took with me, so they have a special place in my heart. They have not been lost since I have owned them – but their story was lost until now and I felt at the time I first spotted them that they needed to be found. So they are my “lost lost” cowboys and that makes them pretty special. 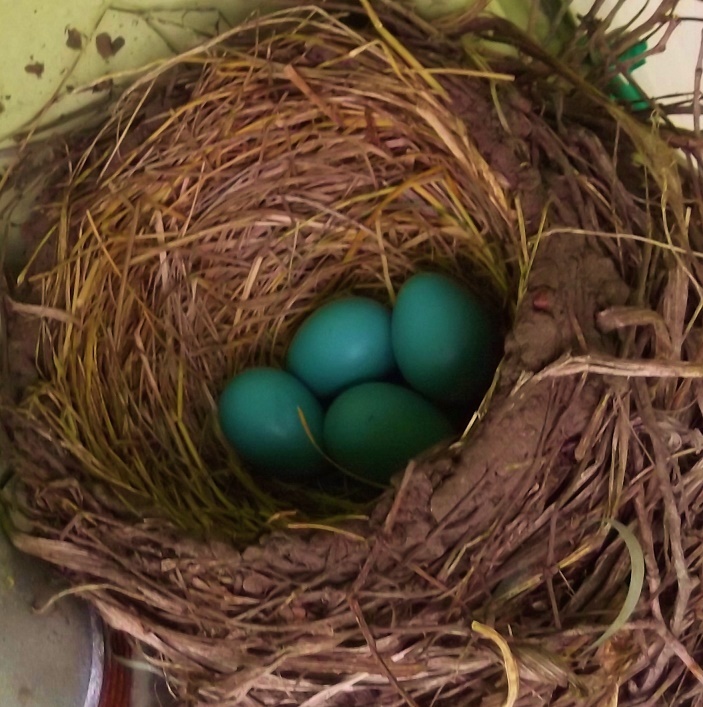 FOUND: A robin’s nest on the back of my house! What is it about birds and me these days? I had a visit from turkey vultures at my office recently. 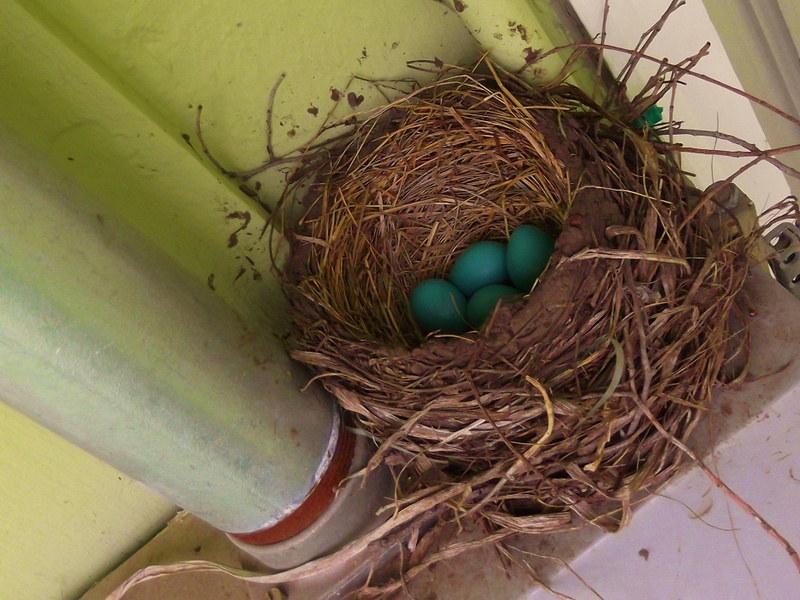 And now I have a Robin’s nest on the top the electric meter box which is attached to the back of my house. I first noticed the nest when I saw a bird fly very close to one of my windows and when I looked out I could see pieces of the nest. 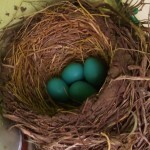 I went out to see for myself and found this nest with four perfect little robin’s eggs in it. The mother was nearby so I was careful not to disturb anything or cause her any undue stress. So I snapped a couple of pictures and retreated inside. I will keep an eye on things but I hope the eggs hatch soon and all are healthy. I will provide updates as things progress. I have had the great fortune to travel to The Netherlands several times over the years, the perk of working for a Dutch company for a while. I loved every visit I made there and hope to get back there some time soon. 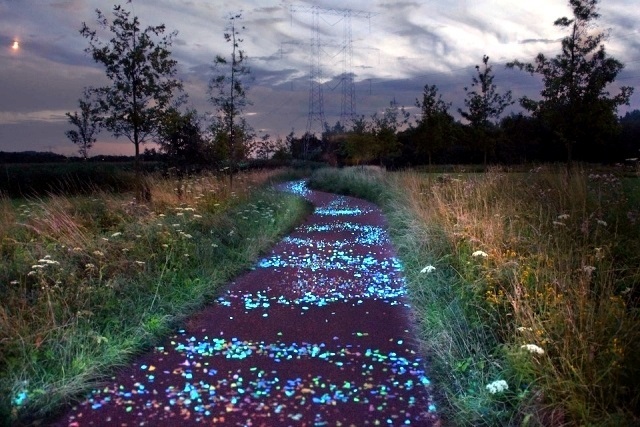 Like the Dutch, I love bicycles and fine art and I just read about a combination of the two that is a must see on my next visit – a bike path tribute to Vincent Van Gogh’s painting Starry Night by artist Dan Roosegaarde in Van Gogh’s hometown of Eindhoven. Learn more about Dutch artist Daan Roosegaarde here. Listen to a news story about the Van Gogh bike path from NPR here. It is crazy how many people in the world lack access to clean, safe drinking water. It is a huge challenge, but by support organizations like Water.org we can start making a difference. Learn how you can support Water.org here. 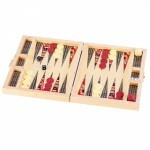 I love backgammon but I think I like the Paloma Backgammon Set I found from the fine folks at Wolfum more. See all the great products from Wolfum here. The fine folks at Harry Barker offer a great line of products for your favorite pooch. 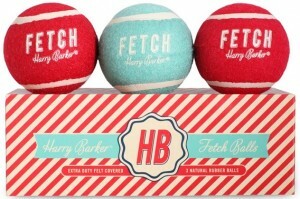 My favorite items are the sets of dog balls they offer like the Striped Ball Box Set. See all the great products for canines from Harry Barker here. Add salt to fine chocolate and I am in all day long. That’s why I have fallen in love with the Dark Chocolate with French Grey Sea Salt I found from the fine folks at John Kelly Chocolates. 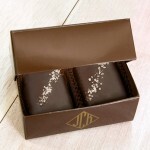 Learn more and see all great chocolates from John Kelly Chocolates here. I like the fine folks at Smock, an old school print shop in Syracuse, NY. Smock produces a series of printed products (cards, notebooks, etc,) on their antique letter presses and I love them. 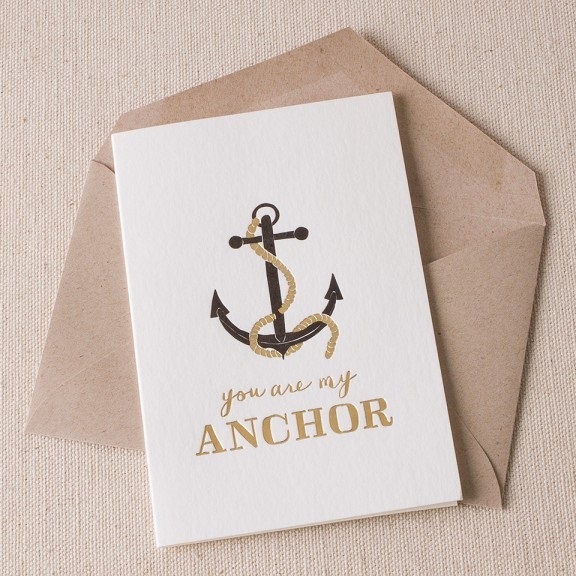 Check out the fine letterpressed products of Smock here. Lost Cowboy is powered by	WordPress 5.0.4 and delivered to you in 1.003 seconds using 60 queries.